Q. How do I get embed code for student Voki’s on Voki Classroom? A. Voki Classroom gives teachers the ability to control student privacy. “Get Embed” is a privacy setting in the configuration for each assignment. 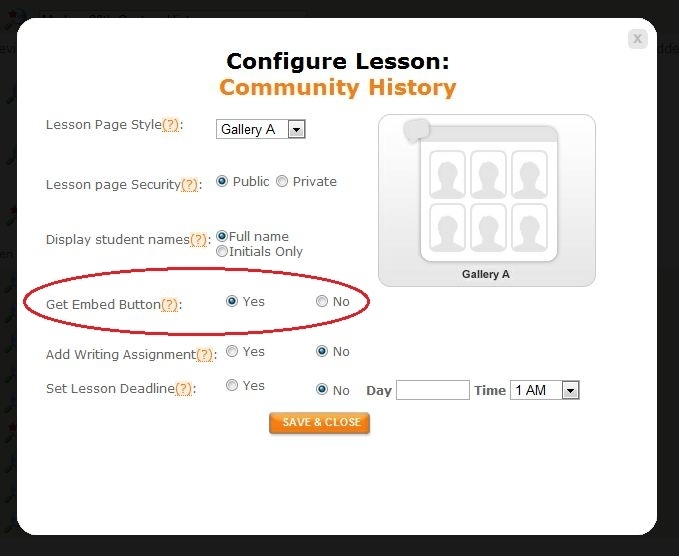 In order to see the embed button for students’ Vokis in a lesson, you must allow this in the configuration window. To do this, follow these steps. Click the Configure button next to the assignment of your choice. Select “Yes” next to Get Embed Button. You can find this option midway through the module. As always, we are here to help! If you have a question, shoot us an email to feedback@voki.com and we will respond as soon as we can!